We are a next-generation interior design & home remodeling contractor located in Broadview Heights, OH--we provide professional, practical, and timeless design and build services to homeowners throughout the Greater Cleveland Area. Our culture is rooted deeply in transparency and integrity--the same virtues our Grandfather founded the company upon over 40 years ago. John is a veteran in the construction industry, with over 30 years experience, and meets with all new and potential clients. As a family owned business, his son, Joseph, is a fully-licensed architect, and his three other sons - Jacob, Jonathan, and James - also bring experience from the architecture, design, and construction industries. We believe a home is more than just a collection of rooms and materials. It should be a unique extension of you. It is where you live, where you share your life with others, and where you express your style and personality to all who enter. The question is, how do you make it a true reflection of who you are? Whether you're creating a new home or renovating your existing home, JP Compass can guide you through a design process that transforms your dream into reality. Prete Builders is a design-build firm located on the nation's north shore in Vermilion, Ohio. We serve families and businesses throughout the NE ohio area, and clients from other areas seeking to build on the north shore. We specialize in custom homes, waterfront properties, major restoration, remodeling and additions, churches and commercial projects. Built around a reputation for reliability and a unique problem solving orientation. We have become adept at tackling highly skilled and complicated jobs. Ingenuity and the ability to handle any job are key words in the Prete Builders organization. Contact us today and speak with our highly skilled professionals about your plans to build. Feel free to reach out to us, we would love to hear from you! With Odell Construction Inc. you get the synergy of design/build in one remodeling company, eliminating the need for homeowners to seek out multiple companies to complete their renovation. 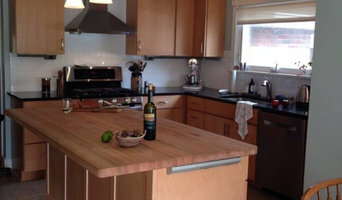 We specialize in kitchens, bathrooms, basements, additions, interiors, and exteriors. Let our award-winning team take care of every aspect of your remodel and transform your space with the highest levels of craftsmanship, customer service, and expertise. We are a full-service design-build remodeling contractor in Westlake, OH servicing the Greater Cleveland area. MK Design Build is a family owned construction and design business serving Cuyahoga, and Medina counties. We specialize in bathroom and kitchen remodeling, and design. We are your one stop shop contractor. Owner and general contractor Michael Carraway has been in the construction business for close to fifteen years. After completing construction trade school in 2000, he relocated to St.Louis MO, and began his career with Mosby Building Arts. His dedication eventually earned him the position of Head Carpenter of their exterior division. Eventually returning back to his hometown Cleveland, he worked for JK Large Investments as a carpenter performing interior rehabs, and Champion Windows as a service and measurement technician. In 2007 he joined the ReMax/Crossroads REO team performing property preservation and locksmith services for foreclosed homes in Cleveland and Surrounding areas. This eventually led to the development of his first businesses, MK REO Services LLC and 216 Lock Serv LLC. Returning to his love for construction, talent for design and customization,today we are MK Design Build. We have grown and developed MK Design Build into a reliable, professional company, catering to jobs of all sizes and needs. We look forward to working with you in planning and executing your next home project. design | consult | construct An award-winning design, remodeling + real estate firm serving the east side suburbs of Greater Cleveland. We are equipped to handle all aspects of your home: from buying + selling to remodeling + redecorating. The organization is a partnership between brothers, Jason and Chris Beard, which employs a in-house staff of highly-skilled tradespeople, including two interior designers. The Beard Group specializes in partnering directly with our clients to design and execute remodeling and construction projects ranging in scope and cost. The end result: beautiful living spaces unique to each client. Smartland is an an award-winning design-build company with an extraordinary portfolio of completed projects in Northeast Ohio. With a unique process for design-build remodeling, we couple innovation and remodeling solutions with superior craftsmanship into one simple experience, which results in an efficient and enjoyable home renovation project. No matter how large or small your project is, Smartland can ensure that no detail is ignored. North Coast Home Improvement Corp.
North Coast Home Improvement Corp.is based in Broadview Heights and serves the Greater Cleveland, Northern Summit and Northern Medina areas in Northeast Ohio. We specialize in Design/Build along with the remodeling of kitchens and baths, universal design remodeling & finished basements. 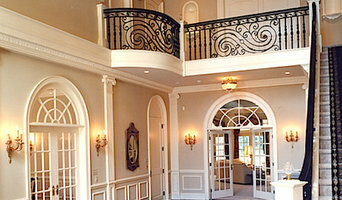 We handle the entire building/ remodeling process from design to completion. Our attention to detail is what you expect; and what you receive. We are Certified Remodelers and Universal Design Certified Professionals thru NARI. We are also members of the BBB. We are licensed, bonded and insured. North Coast Home Improvement’s combination of a company trained workforce and quality sub contractors provides you with the craftsmanship and experience needed to successfully complete every project. For over 35 years our goal has been to exceed customer expectations. Thank you for considering North Coast Home Improvement for your remodeling and building project. At Moore Home Remodeling, your local Northeast Ohio Home Remodeling Company, our goal is to help you realize your home renovation dream and turn that dream into a reality. We are a family owned, licensed and insured general contracting and design company specializing in home remodeling serving the Cleveland, Ohio West side, Northwest Ohio and the Lorain County area for over 15 years. As a family owned business, we believe strongly in staying connected to our clients. You will have access not only to the construction workers onsite and project manager, but to Brent Moore the owner as well. If any concerns arise during the remodel process, you can rest assured that we will listen and act. All jobs are done right per the plans and contract set forth in the design and planning phase. Design-build firms take on the responsibilities of architects, contractors and construction companies, all under one roof. These full-service firms focus on a streamlined design-build process — from the initial design to the estimating phase to physical construction — in the hope of creating an efficient experience for both the client and the company. Because the entire project is happening within one company, Brunswick design-build firms are able to overlap the design and construction phases of the project, which often speeds up the project significantly. In addition, these firms work to minimize risks for the project owner through single-point responsibility contracts. However, depending on the firm, you may still want to contact an interior designer or architect to help create the exact look you want. Here are some related professionals and vendors to complement the work of design-build firms: Interior Designers & Decorators, Landscape Architects & Landscape Designers, Architects & Building Designers, Photographers. Before deciding on a residential design-and-build company in Brunswick, OH, think about what you want from your new home. Do you want a large kitchen for entertaining? Do you need several bedrooms for children and guests? Do you want a finished basement for extra space or storage? 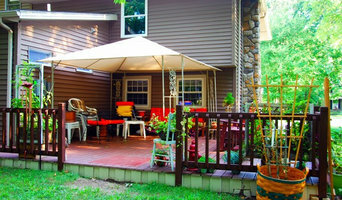 Look for Brunswick design-builders that specialize in the areas you're looking for. Budget is obviously a determining factor in the outcome of your project. To make sure you stay within your means, consider making a must-have list and a wish list. Gauge where the estimates are falling to determine which design-build contract can realistically strike the balance between the two. Find a Brunswick design-build company on Houzz. Narrow your search in the Professionals section of the website to design-build firms in Brunswick, OH. You may also look through Brunswick, OH photos to find a pool you like, then contact the design-build firm that created it.